The Feast of Saint Hippolytus – Zero Equals Two! What makes Hippolytus unique, however, among the early anti-gnostic writers is that he quotes extensively from the condemned writings of the heretics in framing his arguments against them. Since those writings have been systematically sought out and burned by the builders of the hierarchical Christian Church, Hippolytus has provided us with a rare glimpse at the actual writings of some of the most prominent Gnostics, particularly Simon Magus and Basilides. Hippolytus was Arrested and banished to mines on the island of Sardinia. It’s said that he died a martyr, and some sources indicate that he was killed by wild horses. 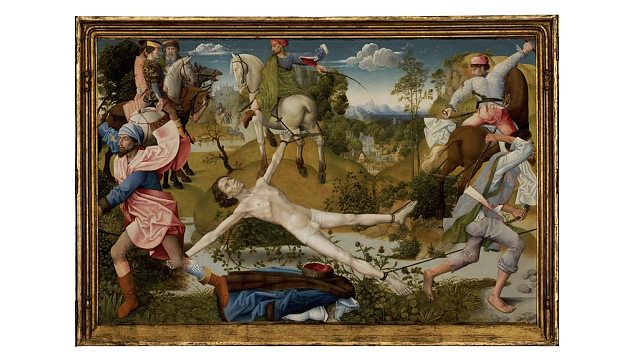 Some art implies that he was quartered, though this may refer to a different Saint Hippolytus. Does this translate very well into a feast? Not really, but since he preached that the holy trinity was essentially one entity, why not try this triune recipe? Preheat oven to 350 °F (325 °F for glass dish). In small bowl, combine graham cracker crumbs and butter; mix well. Press crumb mixture firmly on bottom of 13×9-inch baking pan. Top evenly with coconut then pour sweetened condensed milk evenly over coconut layer. In small saucepan, over low heat, melt chocolate chips with peanut butter. Spread evenly over hot coconut layer. Cool 30 minutes. Chill thoroughly. Cut into bars. Garnish as desired. Store loosely covered at room temperature. Want to learn more about Hipoolytus?